Charlotte loves to dance. Sometimes it feels that our life revolves around taking her to dance lessons, Eistodfods and Concerts. 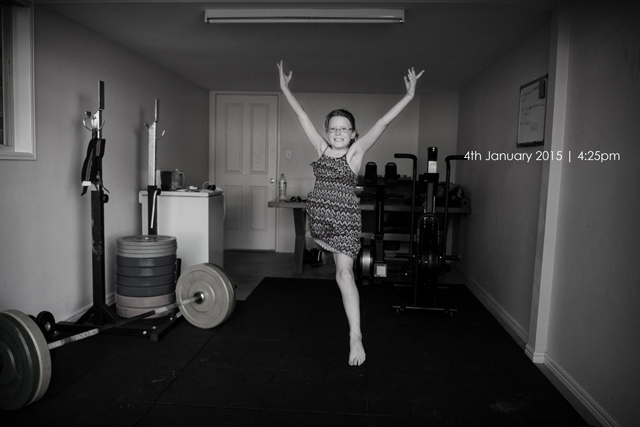 With it being school holidays though it’s been a couple of weeks off dancing and she is really starting to miss it. Today we cleaned the garage up and when we were finished she disappeared out there to put her music on and make up some new dances of her own. When Elizabeth and I returned from a trip to the tip, she asked if she could put on a show for us and perform the 4 dances that she had been working on. She worked hard and the joy on her face to be performing again was just priceless. It is so wonderful to know that she has found something so early in life that she just loves doing. I believe it makes such a world of difference to kids. So even on the days that I don’t feel like another trip down to the dance studio, I remember her joy and it makes the effort all worth while.